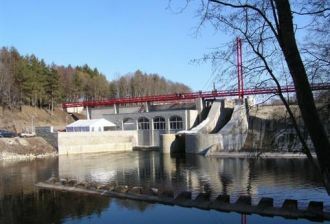 The Estonian state owned energy company Eesti Energia has sold its Linnamae hydro power plant to the company that submitted the only offer, Wooluvabrik OU, informs LETA/BNS. In August Eesti Energia announced a tender for the building rights of the Linnamae hydro power plant. Six entrepreneurs were interested in the tender and one of them submitted an offer, Wooluvabrik OU. The plant was handed over to the buyer on Wednesday, Eesti Energia said. The starting price was 650,000 euros, exclusive of VAT. The parties have decided not to disclose the purchase sum. Eesti Energia decided to put the plant up for sale because it was unclear whether it would be possible for the compny to go on producing electric energy there in the future. Situated on Jagala River in North Estonia, the Linnamae plant is the biggest hydroelectric power plant and the second most powerful hydroelectric power plant in Estonia, Eesti Energia has said. The plant has a capacity of 1.15 megawatts and in recent years it has been producing approximately 5,000 megawatt-hours of electricity per year, enough to meet the demand of 2,000 average households. In 2016, the plant's output accounted for approximately 1 percent of Eesti Energia's total renewable energy output. Eesti Energia has been engaged in a dispute over the production of electricity at Jagala with the Environmental Board for many years. Under a regulation signed by the minister of environment, Jagala River is listed as a body of water protected as a habitat of salmonidae. Under the Water Act, the passage of fish must be guaranteed both up- as well as downstream on a dam constructed on a water body, or on a stretch thereof, approved as a spawning area and habitat of salmon, brown trout, salmon trout or grayling. Construction of the Linnamae hydro plant started in 1922 and the plant went into operation in 1924. The building of the plant was destroyed during World War II but the dam was left intact. Eesti Energia reconstructed the plant in 2002 and generating of electricity resumed the same year.